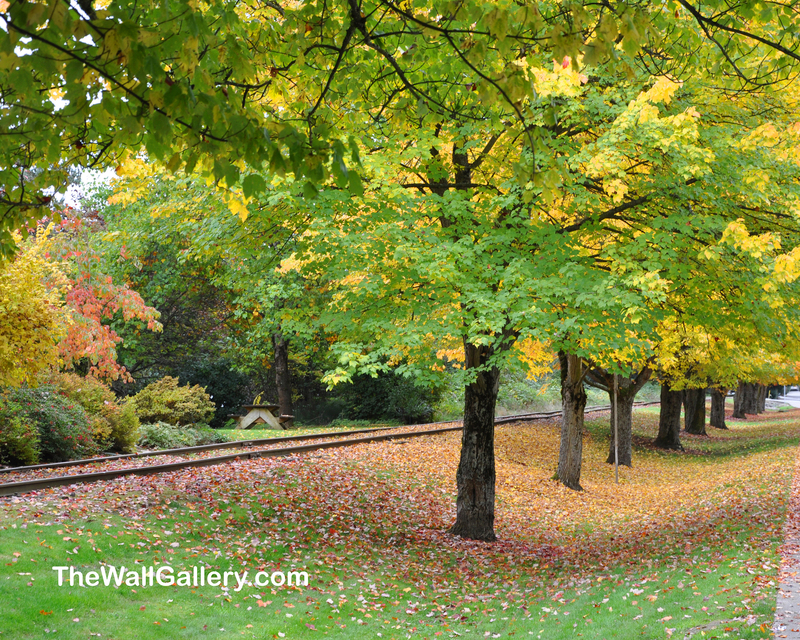 I was doing a photo shoot of the fall colors around town when I found myself at the Issaquah Historical Train Station. Not one to miss an opportunity for pictures, I wanted to share some of the shots I got that day in their “raw” form…before I have turned them into black and white or sepia prints or paintings. 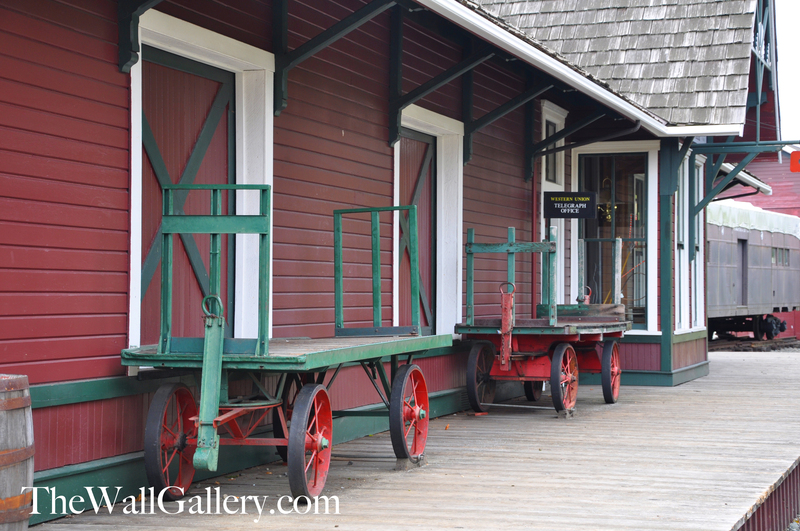 The train station was originally built in 1889. 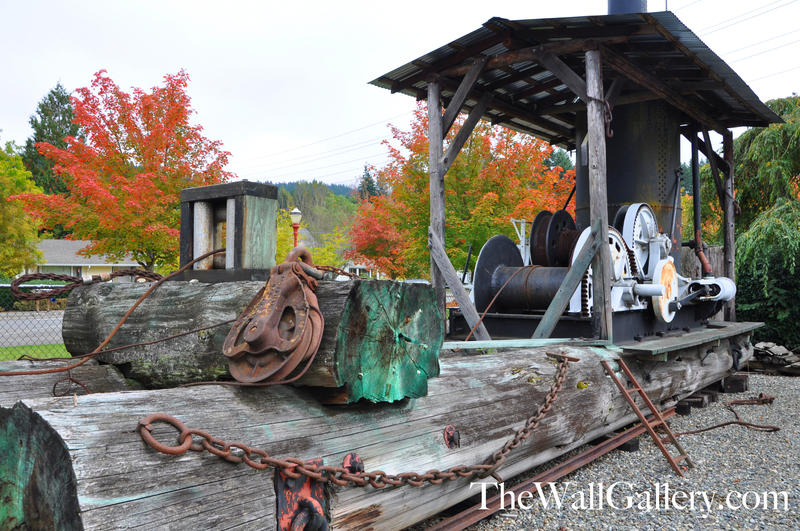 It was bought by the city of Issaquah in 1984 for restoration by the historical society. It was listed on the National Register of Historic sites in 1990 and the refurbished train depot was dedicated as a museum in June of 1994. 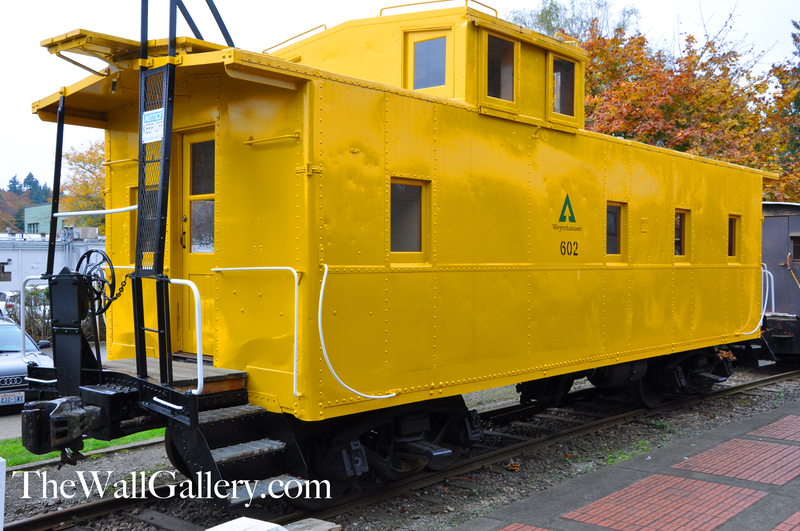 Actual train service over the years included passenger service between Seattle and North Bend. The tracks were eventually abandoned and the right of way given to the county for conversion into their trail system. Actual displays of some of the logging machinery and the tools that were used. 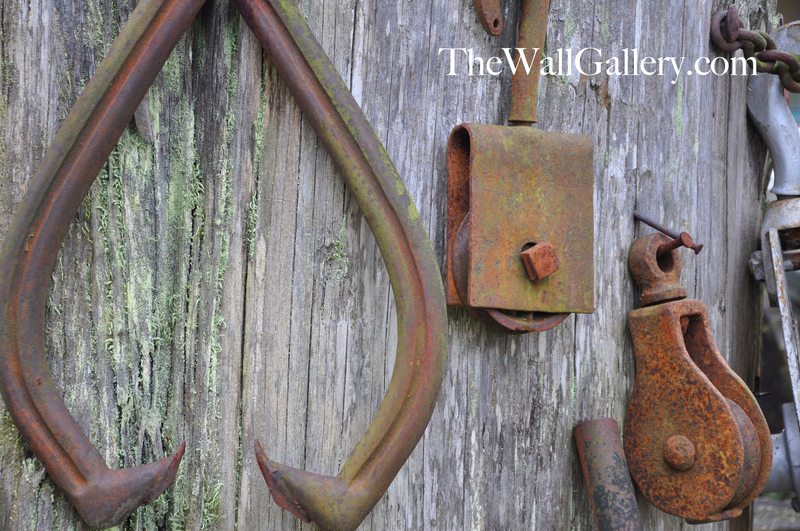 I have played around with these shots of the tools already and they will end up in my gallery as Sepia Art Prints…. A lot of history and the facility is kept very much up to date. It was a great photo opportunity, but more importantly a great example of the Issaquah Historical Societies work at keeping the heritage of the region fresh for following generations to remember. Since Issaquah is now part of the greater Seattle metropolitan area, it wouldn’t be hard to forget that it once was the gateway to the Cascades and a travel point of passengers and logging materials going up and down the mountains. These photographs will be available shortly in my Color Photography Gallery. Follow my work on my Facebook page – TheWallGallery by Kirt Tisdale. (Page likes are always appreciated!) Thanks! 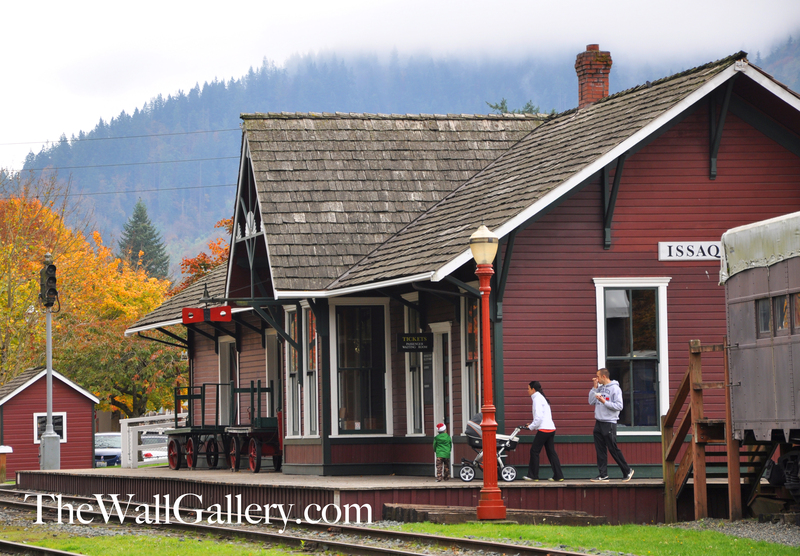 This entry was posted in Art Prints, Color Photography and tagged art prints, artist kirt tisdale, black and white photography, color photography, historic, historic rail road stations, historic train depot, historical landmarks, historical society, issaquah, logging industry, mountains, northwest, railroad stations, seattle, train depot, trains, washington on October 29, 2013 by Kirt D Tisdale. We don’t have the New England fall where hill after hill is ablaze in color, but we do get color. I have lived in the Midwest, Colorado and San Diego. I have seen fall colors in each of those areas. 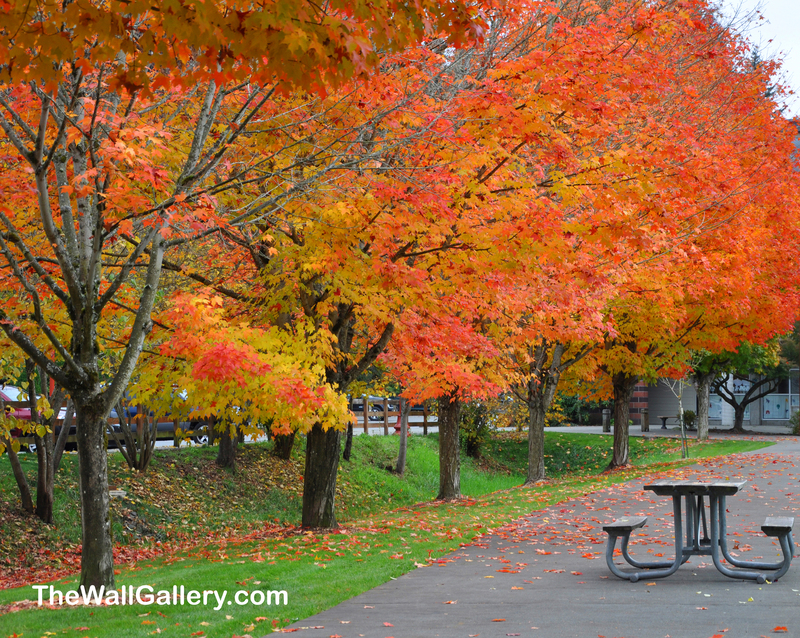 The midwest gets the colors New England has along their river valleys and in their towns. Brilliant reds, oranges and yellows. Colorado has brilliant yellows and golds led by the aspen trees (brilliant yellows framed by green evergreens). 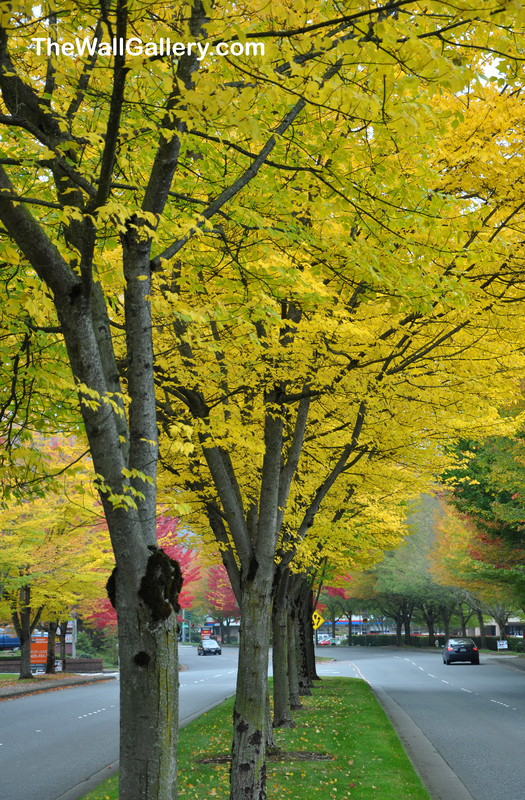 San Diego has spots of colors where deciduous trees have been planted in the urban areas. Spending a summer and fall in the Seattle area, I was curious how the fall colors would be. A local apologized to my wife and I because the foothills where we live don’t go vibrant like new New England and not to expect much. Well, coming from San Diego if there are more than five trees with colors…we’re good. Because there are so many pine trees naturally in the landscape of this part of the country, the brilliant colors come from the trees in urban areas that have been planted. Being a photographer and an artist, I was getting impatient for that perfect day when trees around us were at their peak and the sun would be shining…nirvana, basically. Well, not having seen the sun in two weeks (it is Seattle)….I quit waiting and hit some spots around our community for the classic fall picture taking. I wanted to share five of the photographs that I will be putting into my online gallery as well using them as basis for watercolor and oil paintings. 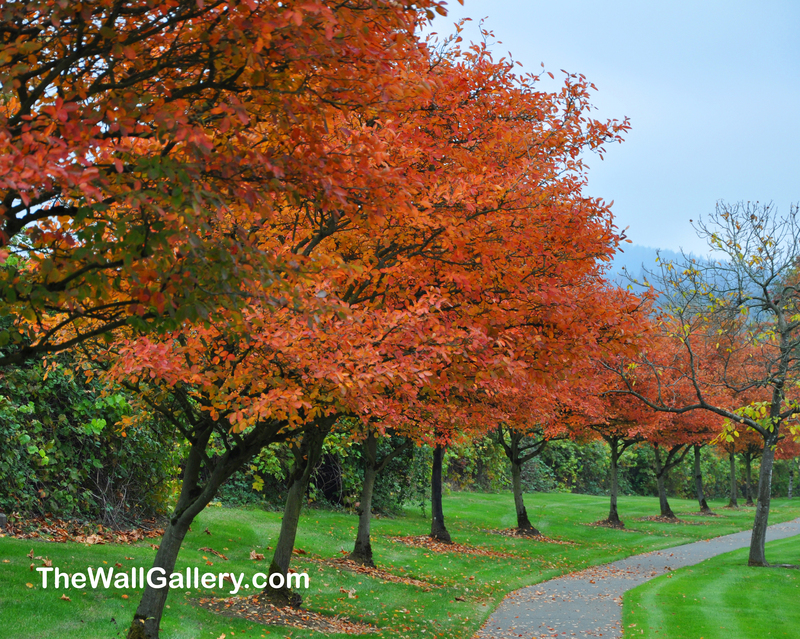 We live in Issaquah, Washington which is in the eastern suburbs of Seattle nestled up against the foothills of the Cascades. I was walking around town all afternoon to get these shots. The first one is a shot of a picnic table next to an abandoned set of train tracks. The picnic table is actually part of the lawn around the local chamber of commerce which is located in an old victorian home. The next shot is a picnic table located on a walkway connecting the high school with downtown. The next shot is along a boulevard in town where all of the “Big Box” stores are located. During the summer, you can’t even see the stores for all of the trees. Everything around here is built with bike paths and walking paths connecting everything. You truly wouldn’t know that to the left of this picture on the other side of the plantings is a major freeway from downtown Seattle up into the Cascade Mountains. The next picture was me being the crazy photographer with my tripod in the grassy medium of a busy boulevard waiting for lights to stop traffic for my shot. And last, but not least another area of that same street where all of the vibrant reds were. 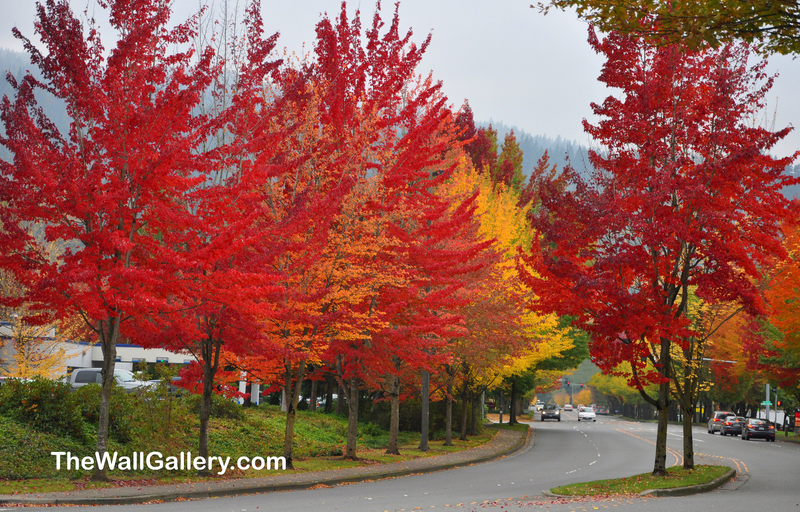 This entry was posted in Art Prints and tagged artist, color photography, fall, fall colors, fall foliage, fall leaves, fall trees, great northwest, issaquah, kirt tisdale, orange leaves, pacific northwest, photographs, photography, red leaves, seattle, trees, washington, yellow leaves on October 23, 2013 by Kirt D Tisdale. The White Rose photograph came from my Color Photography Gallery and the Watercolor Rose art print came from my Floral/Still Life Gallery. 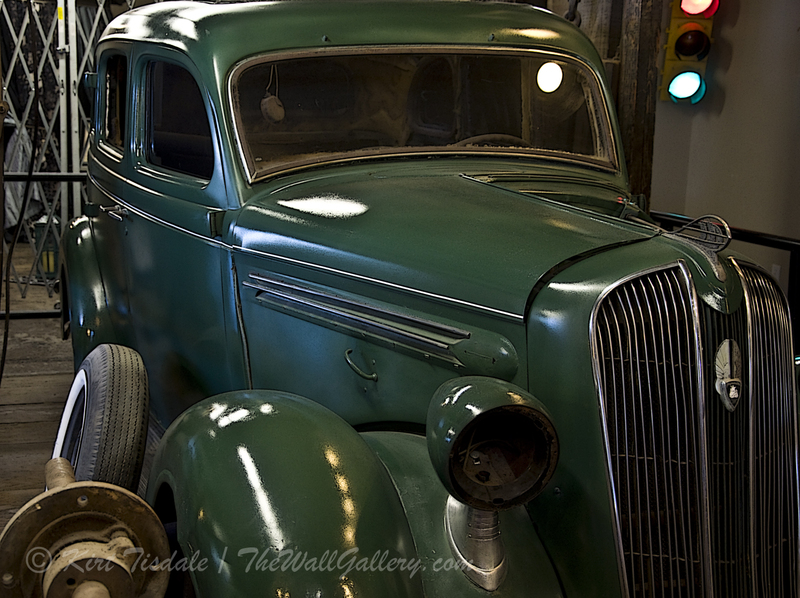 Follow my work on my Facebook page – TheWallGallery by Kirt Tisdale. (Page likes are always appreciated!) Thanks! 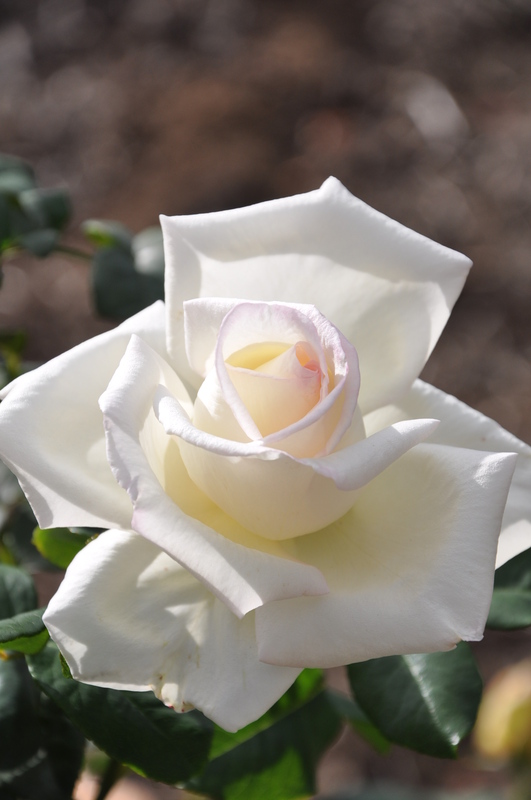 This entry was posted in Art Prints and tagged art, art gallery, artist, artist kirt tisdale, color photography, Garden, kirt tisdale, photographer, photography, Plant, Portland, Rose, rose blooms, Shrubs, watercolor paint, watercolor paintings, White Rose on October 19, 2013 by Kirt D Tisdale. So, from that to this. It creates a totally different look, a classic and simple elegance in deep earthen tones. 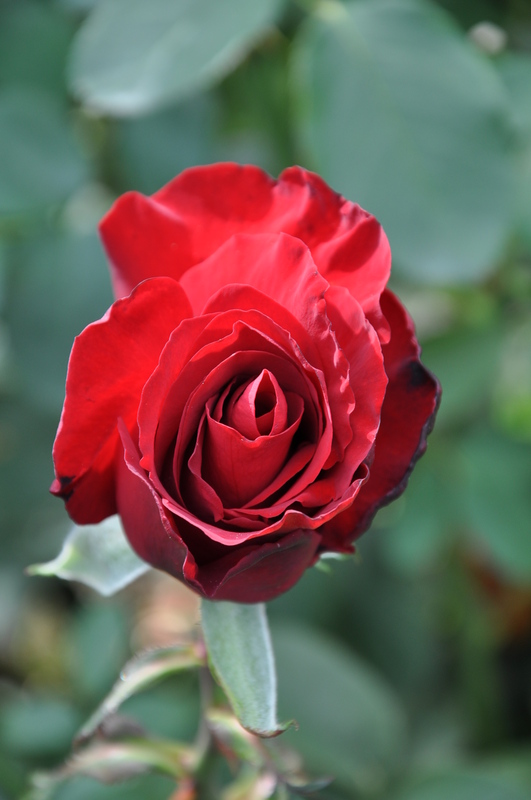 The Red Rose photograph came from my Color Photography Gallery and the Gothic Rose art print came from my Floral/Still Life Gallery. 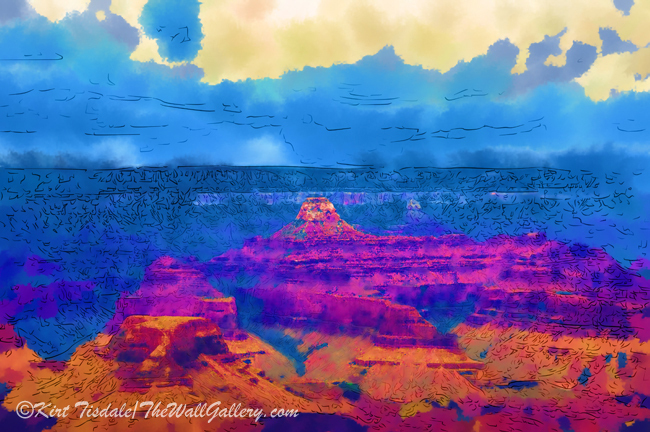 Follow my work on my Facebook page – TheWallGallery by Kirt Tisdale. (Page likes are always appreciated!) Thanks! 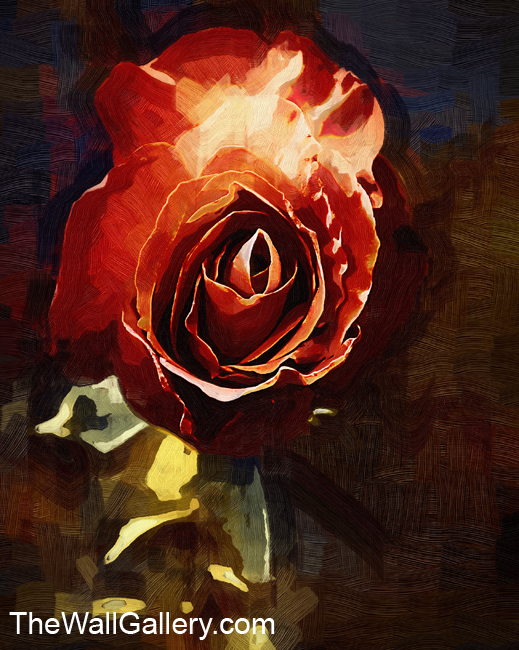 This entry was posted in Landscapes: Oil and tagged art prints, artist kirt tisdale, color photography, contemporary artist, Gardens, oil painting, oil prints, online art gallery, photographer, Plants, Rose on October 16, 2013 by Kirt D Tisdale. 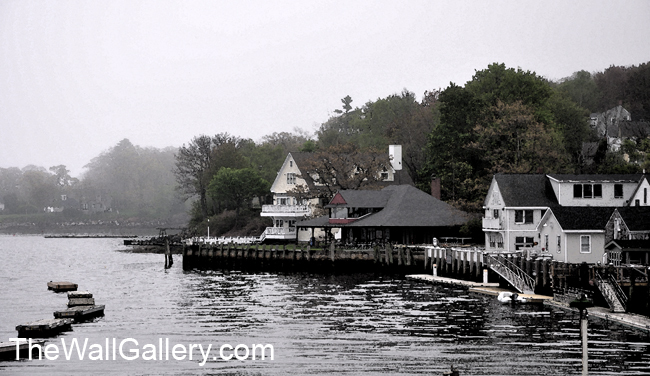 The art print I’m using for this post is a watercolor of a New England fishing village. The setting is a coastal New England town in the early morning. The fog is still hanging over the harbor and creates a serene peaceful scene. Using watercolor to capture the scene supports the softer hues and tones. The setting reflects the gray subdued lighting with just a hint of color in the middle building, the grass and the trees. Thoughts? Comments? This particular art print came from my Landscape Watercolor Gallery. Follow my work on my Facebook page – TheWallGallery by Kirt Tisdale. (Page likes are always appreciated!) Thanks! This entry was posted in Art Prints, Landscapes: Watercolor and tagged art prints, artist, fishing, fog, gallery, harbor, kirt tisdale, landscape, new england, ocean, photographer, photography, watercolor, watercolor art on October 12, 2013 by Kirt D Tisdale. I love hiking and I have this thing with taking pictures of hiking trails. 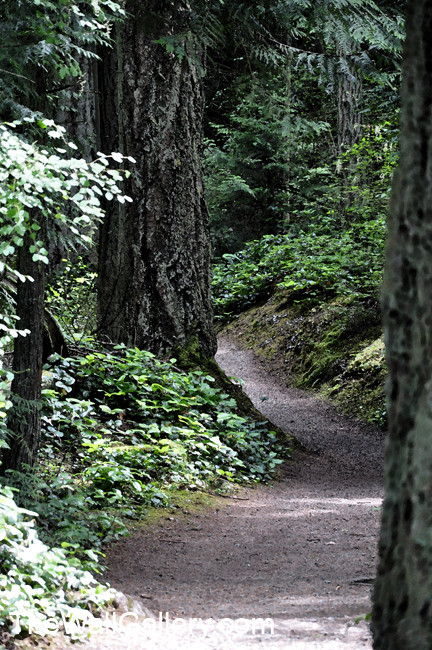 There is something about a picture of path that makes me want to know where it goes…human element of curiousity…it’s the same thing that keeps me hiking on paths over the next hill or around the next bend. I wanted to share such a picture from somewhere in the coastal forest of Washington State. In my galleries, I have taken the original picture and done it in two styles of watercolor, since watercolor painting gives the scene a softer look. This first art print is done in what I would refer to as a traditional style of watercolor. The brush strokes are subtle and the shading gives the picture more texture and depth, yet stays true to the original picture. Next….. The pointillism style is just what it says…many points of color to create a picture. It renders an even softer scene and is more suggestive of the subject matter as opposed to the first one. These particular art prints came from my Landscape Watercolor Gallery. Follow my work on my Facebook page – TheWallGallery by Kirt Tisdale. (Page likes are always appreciated!) Thanks! 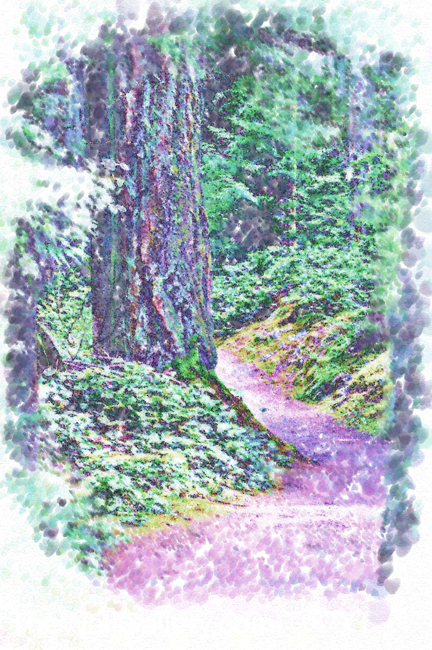 This entry was posted in Art Prints, Landscapes: Watercolor and tagged art, artist, color photography, contemporary artist, Facebook features, forest, hiking, kirt tisdale, Paint, photographer, Printmaking, Trail, tress, washington, Washington State, watercolor paint, watercolor painting on October 8, 2013 by Kirt D Tisdale. From a photo shoot I did last February around the Amana Colonies in Iowa, I have added the attached art print to my Landscape Oil Gallery. 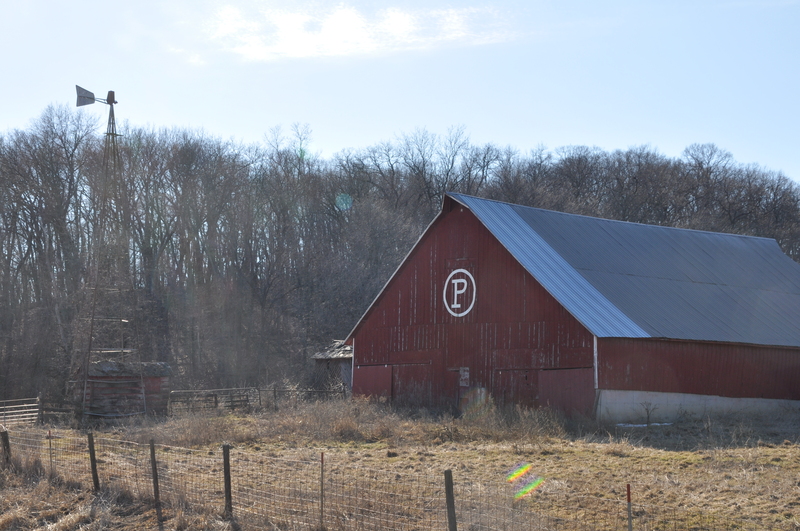 I found this interesting barn (I truly do not know what the “P” is for). 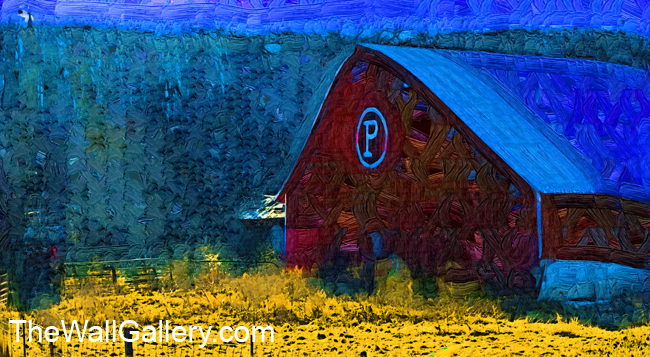 The barn takes on an interesting element when we see it done in a Fauvism style of oil painting. 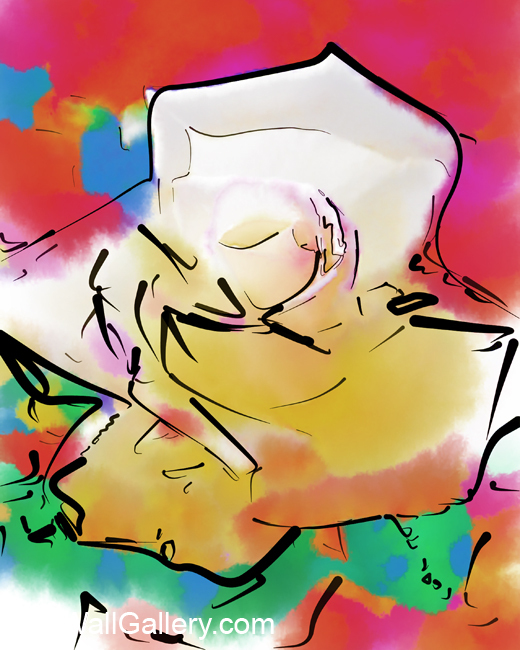 It creates a more abstract image. Below is the original photograph inspiring the painting. This particular art print came from my Landscape Oil Gallery. 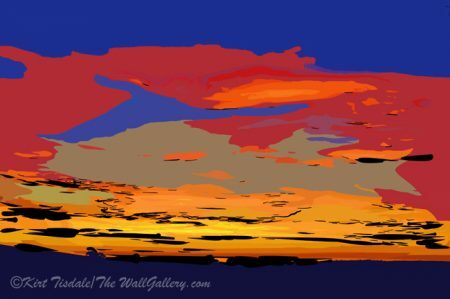 Follow my work on my Facebook page – TheWallGallery by Kirt Tisdale. (Page likes are always appreciated!) Thanks! This entry was posted in Art Prints, Landscapes: Oil and tagged amana colonies, Barns, contemporary artist, Facebook features, farms, independent artist, Iowa, Oil paint, online art gallery, photographer, photography, Printmaking, Visual Arts on October 3, 2013 by Kirt D Tisdale.